It snowed this morning in Albuquerque. Just a dusting really so it’ll be all melted by later today. But it is quite chilly. Never fear, though, my hands are toasty warm. 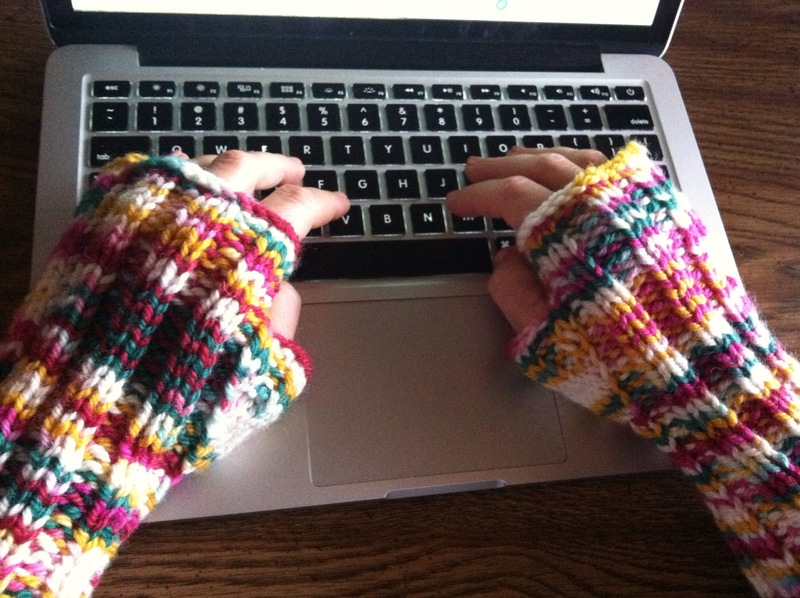 Thanks to these amazingly wonderful fingerless gloves my daughter gave me.